I am a lover of SPF. I take pleasure in finding new ones to try because I'm an avid believer in the mantra "rays today, raisins tomorrow." Well, at least now I am. 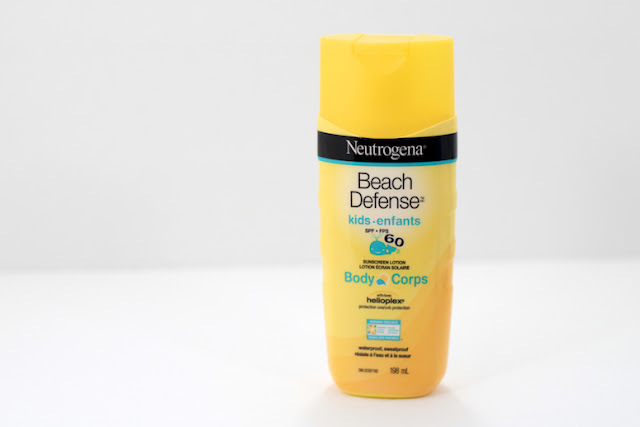 During my teenage beach bum years, I wasn't as prudent in protecting my skin. I would slather on the bare minimum and I rarely worried about reapplication. Boy, do I have the brown spots to prove it... most of them are on my body though -- I at least had the good sense to protect my face from the sun's rays. Sunscreens have come a long way since then. There are so many more formulations and mediums. You have your creams, sprays, lotions. I'm sure your first thought is: who on earth needs this many sunscreens? Well, did you know that you're supposed to use an ounce (or if you're a visual person, a shot glass) of sunscreen for your body, and a teaspoon of sunscreen for your face. That's each time you reapply, too! Planning a summer vacation? Stringent skin specialists have said that you should be using up an entire bottle of sunscreen if you're going to be on a beach all day. With that, urbanites should be using up a portion of the bottle for regular outdoor activities. Reapplication is really the most important part of sun protection, though. 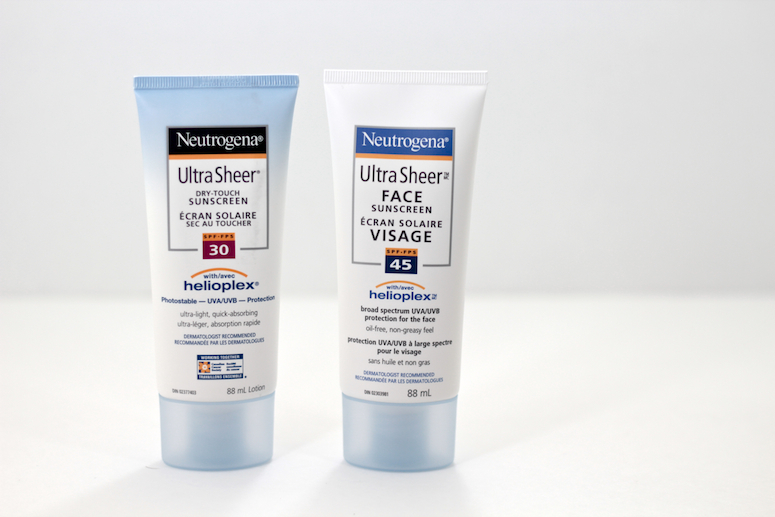 So, here are a few more sunscreens I have added to my rotation (and if you haven't read part one, check it out here). This is a chemical sunscreen for the face. It has a very fluid consistency. It leaves a satin-like finish on the skin (not too shiny). It absorbs quickly and it doesn't leave a white residue. It also sits will under makeup. It has a light sunscreen scent but it dissipates quickly. Ps, Ombrelle is a product of Garnier, in case you were wondering. This is another chemical sunscreen for the face. It has a melt-in cream consistency. It leaves an almost matte finish on the skin, so it works well under makeup, too. It has a faint sunscreen scent which dissipates almost immediately. The regular version (non-face) is also a chemical sunscreen, but it has a stronger scent, it is a little more fluid, and the main ingredients are slightly different. Both are great sunscreens, though. This is a chemical sunscreen for the body. Aside from smelling surprisingly good for a sunscreen, it also feels really moisturizing. It's waterproof and sweat proof, it absorbs quickly into the skin and it doesn't leave a white residue. The next three sunscreens come in a spray format. 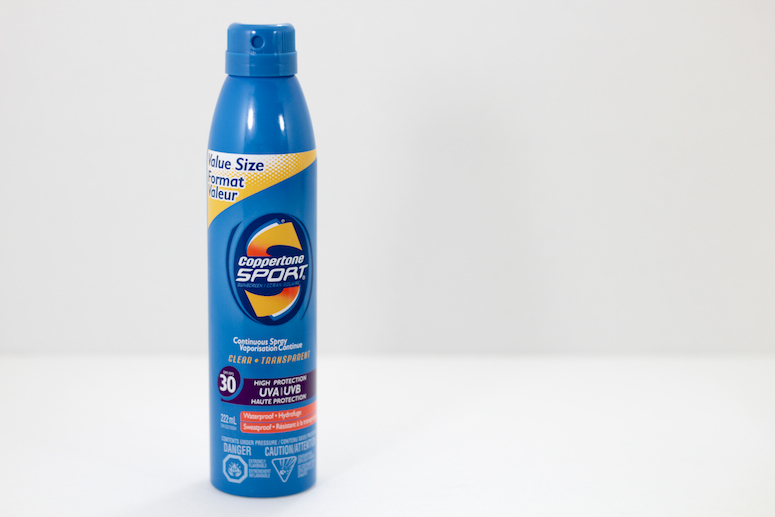 Spray sunscreens are really convenient & easy to use -- the downside is that it can be a little more difficult to judge whether you're applying enough for proper sun protection. This chemical spray sunscreen was specially formulated for acne-prone skin. This is especially great for those prone to a little body acne. The continuous spray works great, it absorbs quickly into the skin, and there's only a faint scent that lingers. 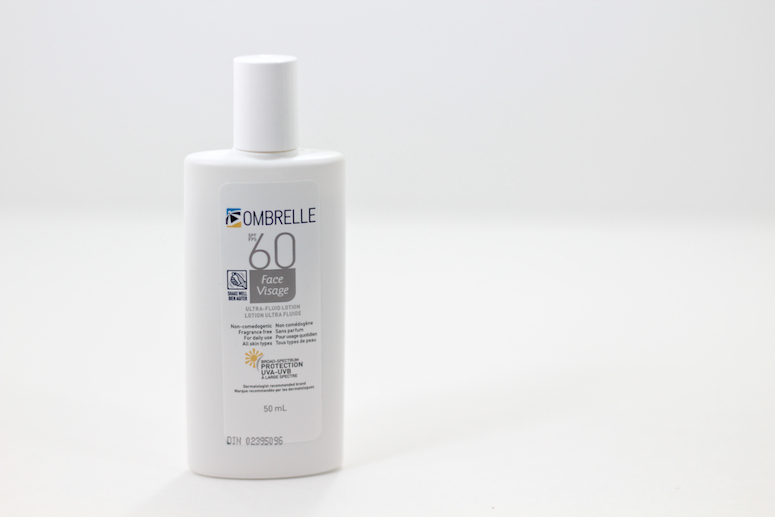 This is a chemical sunscreen specifically developed to cut through water to form a protective barrier on skin. 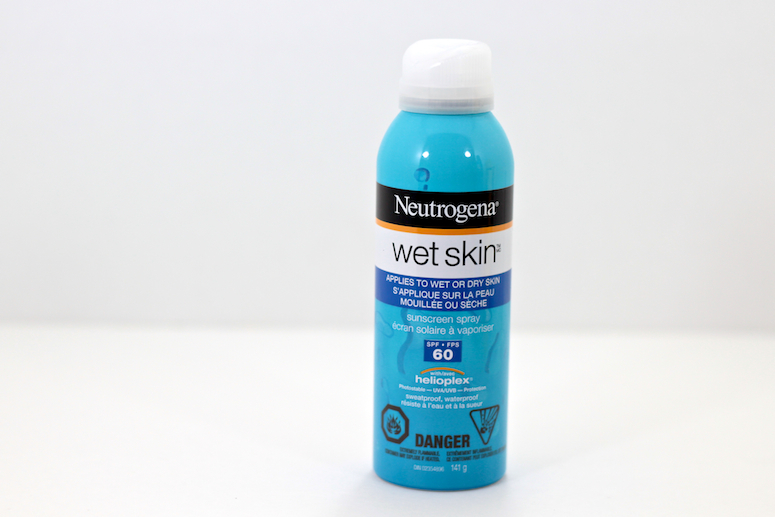 This is perfect if you're spending the day at the beach or at the pool because it can be applied directly to wet or sweaty skin (as well as dry skin, of course). This also has a fairly good scent once the vapours dissipate. 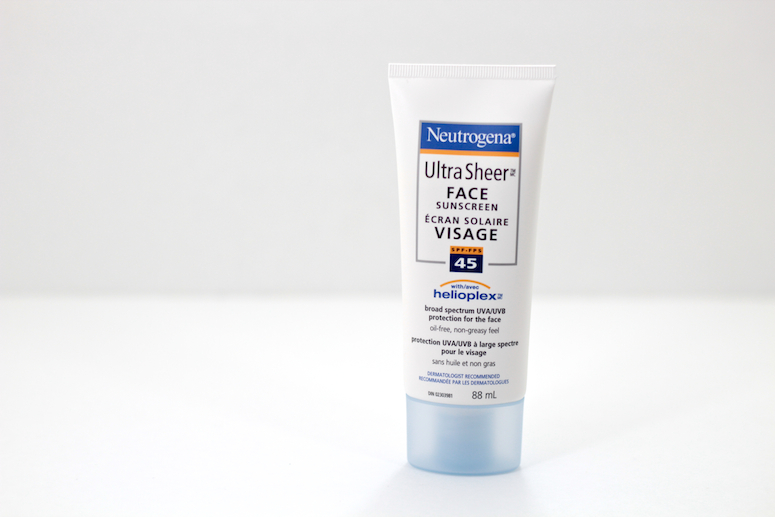 This is a chemical sunscreen that is great for protecting your skin during vigorous activities. It's a clear spray, so no white residue. It's also supposed to bond to your skin, so you're applying this to your face, you don't have to worry about it migrating into your eyes. It is waterproof, sweat proof, and absorbs quickly into your skin for up to 80 minutes of protection. * Prices will vary depending on where you purchase it from. I provided the most inflated price. I love the smell of Beach Defense! Have you ever tried Kiehl's Super Fluid? It's a chemical sunscreen as well and its packaging looks immensely similar to the Ombrelle one! I wonder if they are both comparable, since Kiehl's work pretty well for me but it is quite pricey! Your body absorbs 94% of what you put on it. if you have ever have the chance go to Rocky Mountain Soap Co. you can order from their site, a Canadian company. They have just come out with their natural sunscreen SPF 30 for face and body, SPF 15 for their face stick and lip butter. Very popular, we sold out the first week we had the product!!! I'm not sure where in Canada you're from but they have locations in Edmonton, Calgary, Winnipeg, Victoria. Haha no worries -- I'm pretty resilient ;). And I totally understand what you’re saying! 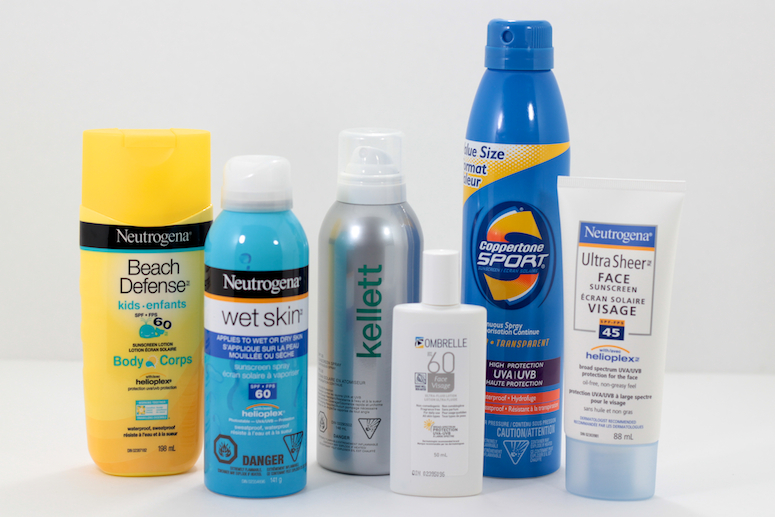 90% of these sunscreens have one or two parabens listed in the ingredients, and I know that many countries have banned that class of chemical. To be honest though, I'm not too worried about parabens... But I do understand the concern. I've done research in the past when news broke about parabens allegedly being carcinogenic. I've read a lot of articles claiming that parabens are so bad that they must lead to cancer and I've read just as many indicating there's no causal link. I do think parabens are safe at current exposure levels. It’s like a double-edged sword! Parabens are in products to prevent mold and other harmful microorganisms from growing, but then everyone keeps saying that they’re terrible for you. Synthetic parabens are found / used in so many things... from cosmetics to toothpaste to insect repellant, yet a popular paraben, methylparaben, can be naturally found in blueberries. Also, some “paraben-free” products aren’t always better than products that do contain parabens. I’ve tried “natural” products that still contained chemicals of concern. I guess that’s why it really doesn't trouble me to find a couple parabens in a product, but do try to stay away from products that list more than 3.